Danner claims that the only complaint they ever get about their Danner 21210 Men's Acadia 8 Inch Waterproof GORE-TEX Boots is that they last too long. Honestly, we don't see how anyone could be complaining about that since a waterproof Work Boot is something you'l ... (see full details) (see specifications) #21210. 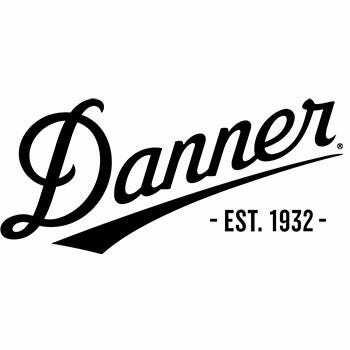 Danner claims that the only complaint they ever get about their Danner 21210 Men's Acadia 8 Inch Waterproof GORE-TEX Boots is that they last too long. Honestly, we don't see how anyone could be complaining about that since a waterproof Work Boot is something you'll always want around. These boots offer the best in moisture protection, starting with the durable and water-resistant, 8" full-grain black leather and Cordura uppers. Keeping water locked out is the Gore-Tex liner, an ultra-thin membrane that is made up of millions of microscopic pores. The pores are so small that water molecules can't slide though. Water vapor, on the other hand, can easily pass through, meaning that moisture from inside your boot will be kicked out it no time. The Cambrelle nylon lining is both comfortable and incredibly absorbent, designed to draw moisture away from your feet. The rugged stitchdown sole construction keeps these boots together and water tight though the roughest jobs. The Vibram 148 Kletterlift outsoles will provide superb traction in both wet and dry environments. Because they are oil-resistant and non-slip, these soles will keep you walking safely even in the slickest work areas. You can say goodbye to foot fatigue thanks to the shock absorbing rubber/polyurethane midsole and the supportive fiberglass shank. A fine pair of Gore-Tex lined boots are nothing to complain about, especially when they are made here in the USA. Lace up a pair of Danner 21210 Men's Acadia 8 Inch Waterproof GORE-TEX Boots and watch all your complaints wash away. I work corrections and I have had my first pair for six years and they are as strong as the first day I bought them. I am looking forward to buying my next pair here very soon. Love these boots. WOW! My first Danner boots and I can say it is worth every penny! Price is steep but you always get what you pay for. If you can afford it, don't think twice. Bought it a week ago and I've already used it for serious landscaping. I use it everyday since it was so comfortable from day 1; I never want to take it off. I keep looking for excuses to wear it! Felt snug when I tried the normal size so I got the EE size. I don't have wide feet, but the D size was just a little snug for comfort. As I said, it doesn't feel like it needs breaking in for comfort since it was very comfortable out of the box. Waterproofing is just that--excellent. I'm thinking of going saltwater fishing, hiking or paintballing with it this weekend. Hmm, what should I try it with first? I put these boots through hell over two years in very demanding military conditions. Would not wear any other boot. My 2nd pair of Danner boots. The 2st pair is my work boots and I got these just for casual wear. This pair is better.. They are light and they are comfortable. They extremely tuff. These are the best boots I have owned and I have owned a lot of work boots.. I own a small construction company.. We do a lot of asphalt, concrete and demo work. They stand up to mud, water, smoking hot asphalt, grease, oil, fuel and everything else i throw at them. They are a lot of money but you will not be disappointed.. They are so light and comfortable.. They dont even feel like a work boot..
Danner Boots: Acadia 21210 Waterproof Work Boots is being added to your cart.